OH - I LOVE this!!!! 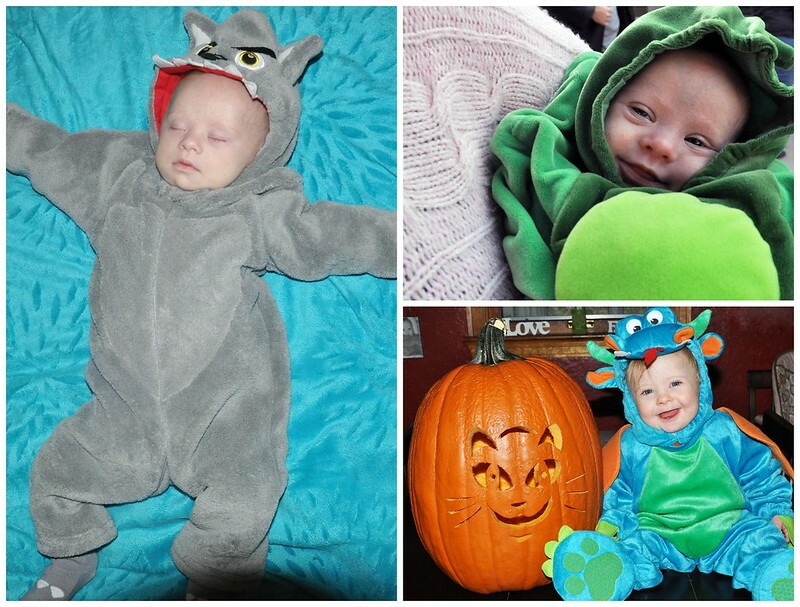 I need to pull together all Emma & Aaron's past Halloween pics like this!! 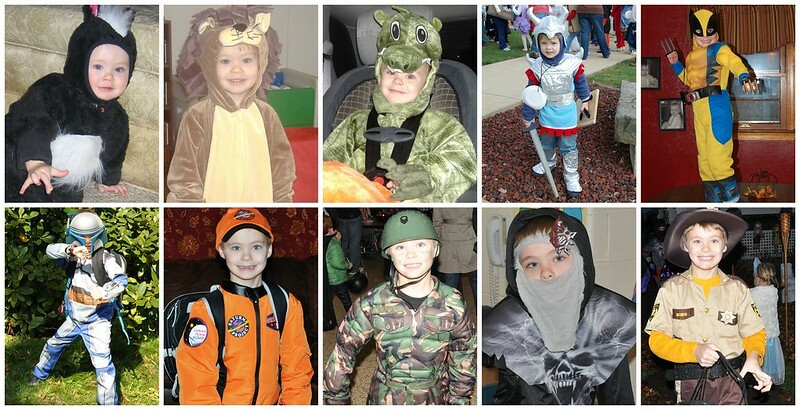 That Pea Pod costume is adorable - I love Liam's Monster costume. And I think that Pink Poodle is my overall favorite, too! Was Dylan Rick Grimes last year? You should do it!!! 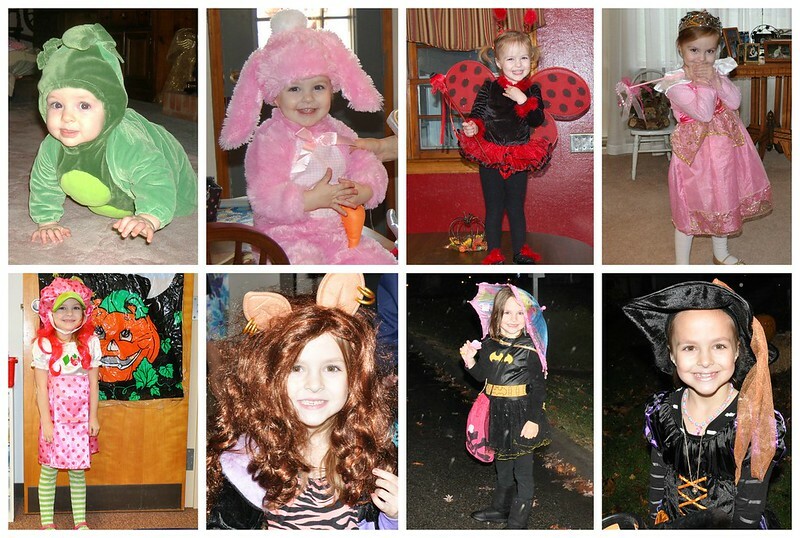 It was neat to look back on all the Halloweens and see how our family grew. He was Rick Grimes! It's hard to pick a "cool" costume without a scary mask or lots of blood! Awww, thank you so much! I'm sure Caleb will quickly warm up to the idea!